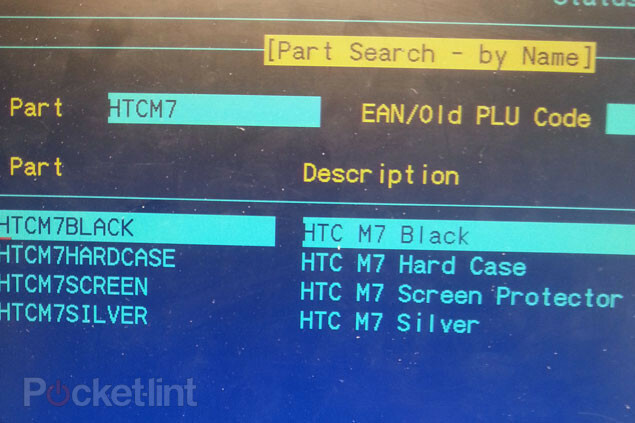 HTC's much rumoured new M7 will reported come rocking a new 'ultrapixel' camera. This is a pretty cool bit of technology which essentially combines three 4.3-megapixel sensors which layer together three images into one grand image. The main hope is that this will generate a 'crisper, cleaner image' with better colour accuracy. This device is getting closer each day and the picture above shows a snap from Carphone Warehouse's system and it is definitely there for all to see! Put February 19th in your calender guys! Samsung are reportedly set to invest in a brand facility which will allow the Korean's to produce medium size OLED panels! The company already has production lines which churn out the screens for their phones and huge new OLED TV's and the only thing missing is the tablet and computer screen sizes! Fingers crossed that those nnamed “industry insiders” are right! We'd love a new computer with a good OLED screen! Reuters still believe that a buyout deal for DELL is very much on the cards. According to their sources talks are in the final stages and a price of around $13.50 and $13.75 per share is likely to be agreed! Naturally the source exercised some caution saying that there is no final agreement in place and the negotiations could well break down, so we didn't really learn too much from the rumour! The Washington Post has explained that the FCC is considering buying back spectrum from TV stations in a bid to create 'super WiFi'! This idea would coat the USA in a huge cloud of totally free internet! Naturally mobile handset makers and America's ISP's and telecoms companies are not happy at any sort of suggestion. Microsoft and Google on the other hand think that this would be fantastic, partly because it would increase their user base significantly! At the moment this is nothing more than speculation, but some people argue that free or cheap access to the internet is a human right! What do you think? 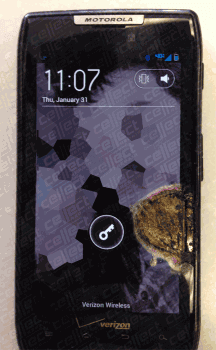 The Droid Razr is supposedly the latest phone which has burnt through itself! The image to the right shows off one of the devices which burnt through it's own screen! We're slightly sceptical whether this is real or not because normally that degree of melting would stop the whole screen working not just a section of it, but stranger things have happened. Verizon reportedly replaced the device with no questions asked so there may well be some sort of issue which is known about in a small number of cases! We'll have to wait and see though! Bernstein Research said it was upgrading Blackberry's stock to "outperform" their previous targets because of the success of Blackberry 10's launch last week! Naturally Blackberry stock jumped up a little on the markets today too! Maybe it's not too late for the Canadian's. BT Infinity will now offer a truly unlimited broadband offering without throttling! 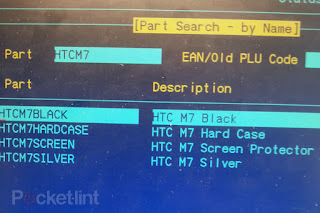 HTC has predicted that their 2013 will be even worse with a drop of 17 percent in the three months leading to the end of March if Q4 2012 is anything to go by. HTC's CEO Peter Chou said that rivals were "too strong", but reiterated his belief that 2013 "would not be too bad," despite the 79% slide in profits year-on-year. Three UK have confirmed that when they roll out the LTE network "Three’s Ultrafast network later this year. Unlike some other UK mobile operators, it will be available across all existing and new price plans without customers needing to pay a premium fee to ‘upgrade’." The full press release is available here! The Windows Phone 7.8 update is reportedly causing a couple of issues for people who have upgraded. For example Nokia currently have a thread running for people who have been experiencing really low audio volume since the update. Thankfully re-flashing older firmwares fixes the issues for most people! Vodafone UK have confirmed that from the 6th of February they will be carrying a whole host of Windows Phone devices. The Nokia Lumia's 920, 820 and 620 and HTC's 8X and 8S will all be available. EE's owners Orange and T-Mobile are reportedly considering a stock market floatation. This would involved each of Deutsche Telecom and France Telecom (the owners of T-Mobile and Orange respectively) 25 per cent of EE on the London Stock Exchange, something which would raise them about £1billion each! And finally, Samsung UK and Expansys have teamed up to offer you a brand new trade in deal if you buy a new Galaxy S3, S3 Mini or Note II! The best way of explaining this through the video embedded below, but you can get some pretty good discounts, especially if you're prepared to cough up some extra cash for the higher priced Galaxy Note 10.1 or the Galaxy Camera! So check out the video below and the source link for more information!